Sense of direction has always been one of Lydia Martinez’s strengths. Martinez, chief human resources officer for real estate firm Long & Foster Companies, was always fascinated by how humans behave and why. So, she sought a career in which she could make real connections with other people. As she pursued a degree in psychology at the University of Puerto Rico, she realized that while the field held its charms for her, talk therapy in an office didn’t deliver the diversity of environments and experiences she hungered for. Once she began looking into industrial and organizational psychology, which is the study of how humans behave within organizations, she realized she could have everything she wanted in a profession. Engagement in the field would allow her to apply psychology to increase motivation and improve workplace performance. The final educational piece to put in place for her ideal career was law school: Martinez was enrolled simultaneously in master’s programs in criminal justice and industrial psychology. After earning those degrees, she got her JD at American University. Heading into the rigors of law school, she knew exactly where she wanted the degree to take her. Most HR leaders come up through the ranks of the company from kindred areas like compensation and benefits. It’s rare that someone ends up in HR from the Martinez’s angle, but her background pays huge dividends in the work she does. “All of the risk and all the dangers that are involved in making decisions related to HR are either about impacting behavior or experiencing a legal pitfall, ” she explains. Because HR decisions directly affect not only employees but also their families, it is imperative that possible impacts of all decisions are weighed carefully. Having knowledge of the behavioral responses and legal impact that may follow such decisions creates efficiencies that allow for an agile decision-making process. 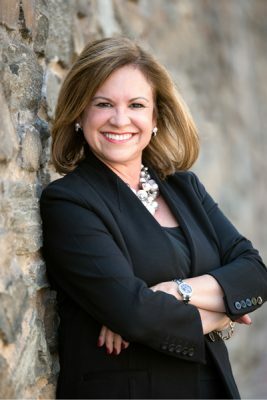 In 2012, Martinez joined Long & Foster, which owns companies in real estate, mortgage, insurance, property management, and resource rentals. She encountered a workplace just coming out of some tough financial years. Adjustment to that reality had forced the company to make some tough decisions. As a result, some employees had the perception that all the focus was on the sales force, dividing the organization into two camps. She immediately took it upon herself to change that and foster a sense of unity and common purpose. “One of the turning points was ensuring that there were professional advancement opportunities for everyone at every level, at any cost,” she says. “We offered technology training, computer applications, full-day courses. That started giving people more of a sense that the organization was not just there for the sales force, but was willing to invest in their future.” The result was a more receptive environment in which to promote all the benefits available to employees during their tenure with the company. Martinez says that one of her core philosophies as an HR leader is to consider each employee in every decision that is made. Something that makes Long & Foster a bit different among real estate companies is that the sales agents—nearly 12,000—are not franchises. The company owns all of its sales offices, and provides administrative, managerial, marketing, finance, and technology support to the agents affiliated with the company. This fosters a sense of family that has been important to the company since its founding over forty-five years ago, Martinez says. As a Hispanic executive, Martinez thinks a lot about how she can increase diversity in the company. While sales agents are a diverse group of individuals, she notes that the financial services department is not incredibly varied in terms of race, gender, and age. Her approach to remedying this is manifold: To attract more women who might not find an extremely time-demanding job appealing during childbearing years, the company presents a better work/life balance. Martinez also plans to attract millennials by promoting a professional environment that will allow them to pursue interests beyond the office. To that end, opportunities to get involved in the community are very attractive. Because the company is very entrepreneurial and involved in community outreach, Martinez envisions the company becoming a destination employer for this group. Outside of the sales force, Martinez says it has been a challenge to find Hispanics, especially young Hispanics, who want to work in financial services. That’s why the team goes to universities, and even high schools, to speak to about the benefits of careers in these areas. Martinez says seeds of interest need to be introduced early on, and it is imperative for the industry to change its traditional image and convey a more forward-looking image. As she enters her fourth year with the company and embarks on unrolling a three-year plan, Martinez is hoping to influence the company in ways that will endure even after she retires one day.